Have you ever purchased something – and paid a lot of money for it – and then you got it and…….hmmmmmm. While visiting CIEL in St. Louis Park and ordering my metal wall, I admired the multi-hued barnwood wall behind the main desk at CIEL. I have always hated the fact that the ever popular “barn” in the lower studio is only 5 1/2 feet tall. Only the shorter girls could stand in the barn. 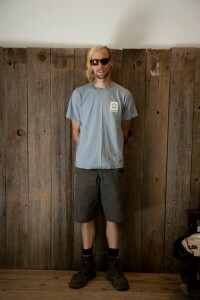 Everyone else had to sit on a box or on the ground or hunch severely with me on a stepstool shooting down at them. 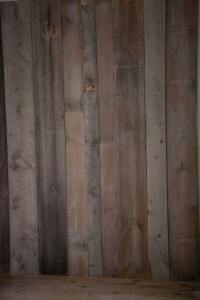 I decided that, if Andy could duplicate the wonderful barnwood wall at CIEL, I would order it in a 7 1/2 foot height! After several emails and phone calls back and forth about the color of the boards at CIEL, it was Delivery Day! As soon as “Punk Rock Tom” brought the 3 panels in to assemble and attach them to the wall, I began to wonder how it would photograph. Can I hear a big ….HMMMMM? Well… after one session with the multi-hued boards, I found myself at Home Depot this morning ordering a gallon of semi-transparent Driftwood Gray to tone down the reddish boards. YES, the reddish boards that I had specifically ordered! 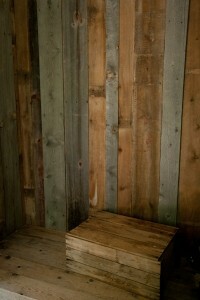 Now I believe it is perfect – you can still get a sense of differing hues in the weathered barn wood, which is good. It looks almost exactly like the old barn, only it is 2 feet taller! There was a reason that the old barn was one of the most requested backgrounds!